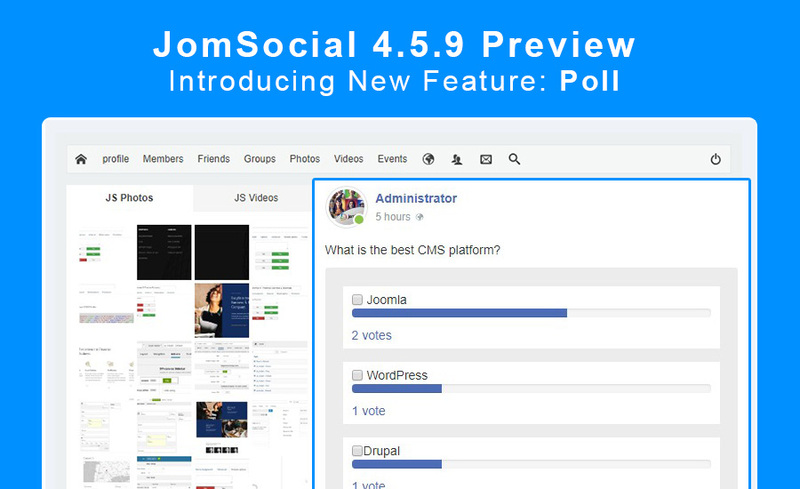 JomSocial 4.5.9 is coming soon with an amazing new feature: Polls, improvements and bug fixes. 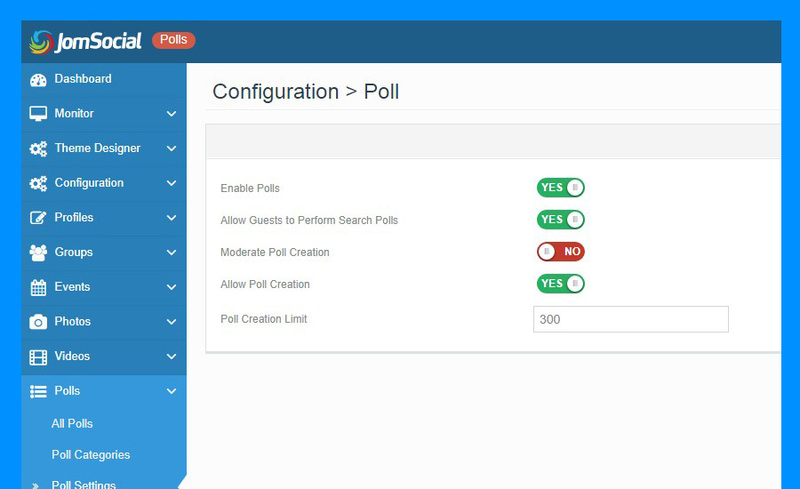 Polls is an important part for a community site that helps you to take feedback from the community members with different options, you can share the question with community member and allow them to vote. 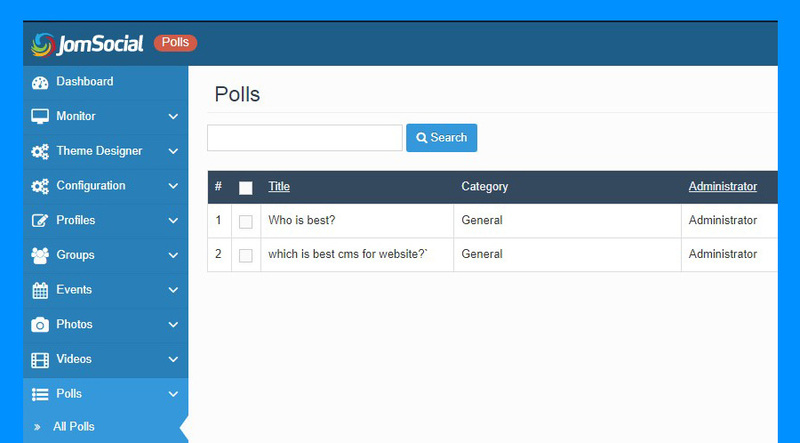 Jomsocial frontpage will have options for polls, To make it more stable we are developing the polls based on different categories, that allow users to easily find them as well. A new menu type to show polls on the single page. You can show different menu types on polls to show polls, search polls. Each menu item will have different amazing layouts. 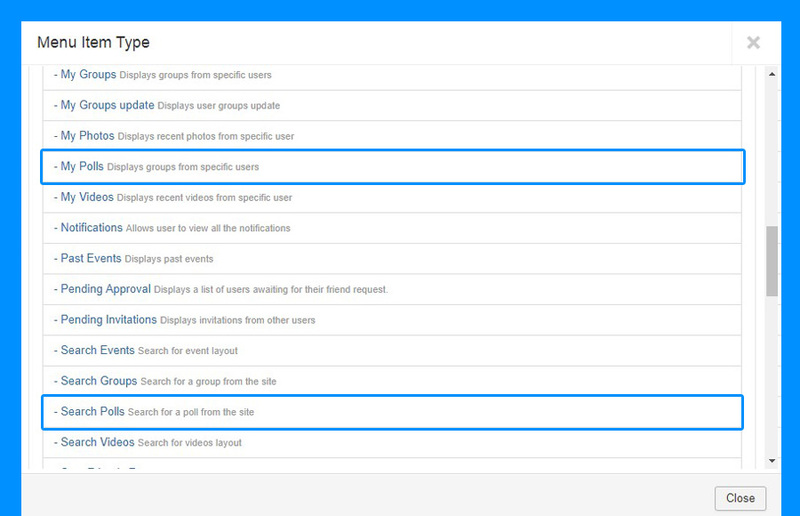 On JomSocial backend there iare options to create the different type of the categories. And full access for admin to delete or unpublish the polls. Let us know what you think about the preview. Note: The images showing in the preview post could be different in the stable release of Jomsocial for poll feature.